Home » Natural Ingredients » What Is Red Clover? Red Clover (Trifolium pratense) is an herbaceous, short-lived clover which grows about 20-80cm tall. The flower is dark pink, almost magenta, becoming more pale at the base. Red clover has many benefits, but it is primarily used as a fodder crop to increase the fertility of soil by increasing the nitrogen within. However, over centuries Red clover has also been used to help the sick and is now commonly used to make an herbal tea to help combat the common cold. Where Is Red Clover Found? Red clover is native to Western Asia, Northwest Africa, and Europe. Because of the benefits of the herb, Red Clover is grown and cultivated all throughout the world and used in many cultural health products. For example, in India, Red Clover is grown to be used as a traditional medicine for use as an expectorant, and anti-inflammatory agent, and a sedative among other uses. What Are the Health Benefits of Red Clover? In its most popular use, Red Clover is added to herbal teas to help fight the common cold and flu. 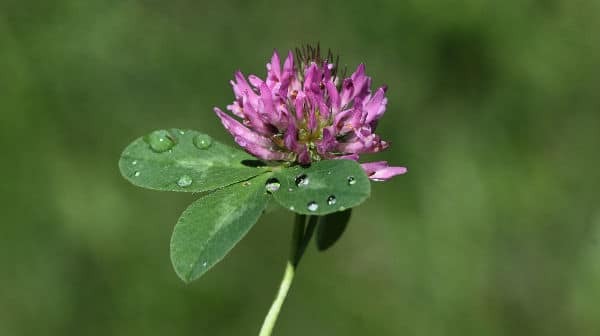 In fact, as mentioned above, Indians use Red Clover as an expectorant which is most likely the reason Red Clover is added to cold-fighting herbal teas. Besides the boost to your immune system, Red Clover can be applied to your skin to help with eczema, psoriasis, skin cancer, burns, and other chronic skin diseases. Red clover is rich in isoflavones, a hormone-like chemical, which has been known to promote healthy hair. In fact, the isoflavones in Red Clover make Red Clover tea an effective hair rinse to soften, add volume, and prevent dandruff in your hair and scalp. Isoflavones, also found in hops, have also been known to increase good cholesterol in pre-and-postmenopausal women, making the Red Clover found in Bust Bunny an effective combatant of menopausal symptoms such as: hot-flashes, night-flashes, night sweats, PMS, and mastalgia (breast tenderness). Another health benefit of Red Clover is in preventing infertility and osteoporosis, and cancer. That’s because those isoflavones found in Red Clover are broken down in your body as phytoestrogens (much like those found in hops) which acts like estrogen. Women are very at risk for low bone density because of decreasing estrogen levels pre-or-post-menopause. How your body processes Red Clover increases your estrogen levels which strengthens your bones! Low estrogen levels can also cause infertility and can even result in miscarriages. 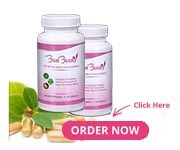 The benefit of having Red Clover in Bust Bunny can greatly reduce all the estrogen-related health determinants in women. We want you to get the full benefit of Red Clover in Bust Bunny supplements by getting 10% off your entire order. Use coupon code “clover” or CLICK HERE to have it instantly applied. Moreover, a benefit of Red Clover is cardiovascular health. That’s because Red Clover contains the blood-thinning compound coumarin. Coumarin maintains healthy arteries which prevents blood-clotting and aids a healthy circulation of your blood. That means that the Red Clover found in Bust Bunny can not only aid in your quest for bigger breasts, but will help your cardiovascular health in turn! 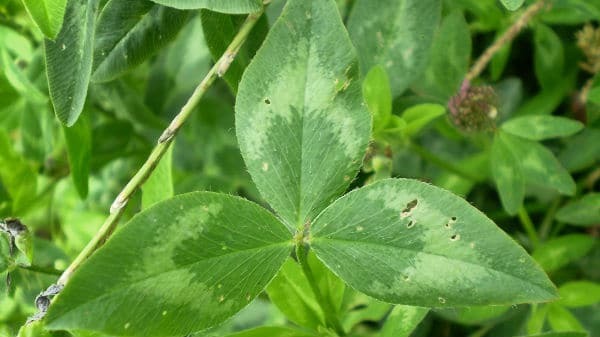 What Are the Side Effects of Red Clover? Red Clover is found in the wild and is a very safe herb. However, like with anything, there are some Red Clover side effects to consider when ingesting it in your diet. 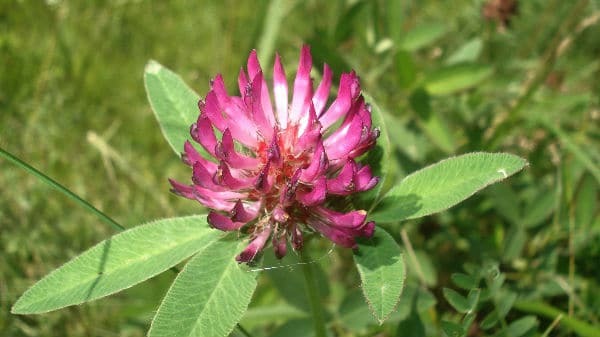 Since a benefit of Red Clover is to enhance cardiovascular health through blood-thinning properties, please be aware that this can also increase bleeding—both internal and external. Therefore Red Clover should not be taken for at least two weeks before surgeries as it can retard the blood-clotting process in your body. What Is Red Clover Found In? How Does Red Clover Make Breasts Bigger? Not only do the isoflavones found in Red Clover promote estrogen levels to help the various health issues found in women (listed above), that process which turns the isoflavones into phytoestrogens is crucial to the process of breast enlargement. The main phytoestrogen found in Red Clover is genistein. Genistein attaches itself to your oestrogen receptors which control breast growth. That’s right, the Red Clover found in Bust Bunny naturally and efficiently promotes healthy breast enlargement by acting as a catalyst in a process that is already happening in your body. With Red Clover being an ingredient in Bust Bunny Breast Enlargement capsules, most women will see a noticeable change in their bust size. The herb is all natural, and is considered safe by the FDA (it is listed on their Generally Regarded as Safe list, or GRA). Red Clover has been used to assist women for many years, and will aid in your breast growth journey. Here is 10% off to start you on your Bust Bunny journey or enter coupon code: “clover” at the end of your checkout.